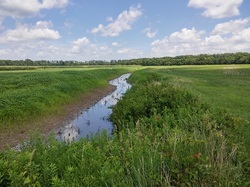 The Little River Watershed was once rich in biodiversity with key fish and shellfish areas and swamp forests to mitigate flooding and protect water quality. In 2014, ARCD partnered with the Albemarle Commission to develop a nine-element plan to restore natural hydrology in riparian buffers and impact water quality in the watershed. 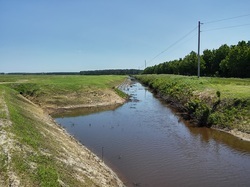 Starting in 2016, with grants from the Clean Water Management Trust Fund (CWMTF), the Environmental Protection Agency (EPA 319h) and US Fish and Wildlife Service Partners for Fish and Wildlife, in-stream wetlands are being constructed along main drainage canals and privately owned canals on both the Perquimans and Pasquotank sides of the Little River. Pictures to the left show 6,800 ft of in-stream wetlands and conservation buffers. ARCD is partnering with Pasquotank and Perquimans Counties, Perquimans SWCD, NC State University and USFWS on this project. NCSU is taking water samples to measure the impact of wetlands on water quality. Click here for more information on the partnership to restore the Little River watershed. Tyrrell County has replaced an old timber bulkhead with a new vinyl bulkhead at Scuppernong River Park in Columbia. The new bulkhead will help protect the park from storm events for many years. This was the second phase of park renovation. During the first phase the county constructed a handicap accessible fishing pier and boardwalks, and installed picnic tables, a gazebo, trash cans, grills and solar lights. The first and second phases of park renovation were completed with grants from the Public Beach and Coastal Waterfront Access Program, and matching funds from the county. The Albemarle RC&D Council provided assistance with project design, grant writing, and project management. Pembroke Creek Park is a valued resource for access to Pembroke Creek and surrounding waters in Edenton for fishing, canoeing, kayaking and nature tourism. Storms had eroded the shoreline and damaged parts of the boardwalk, limiting access by the public. 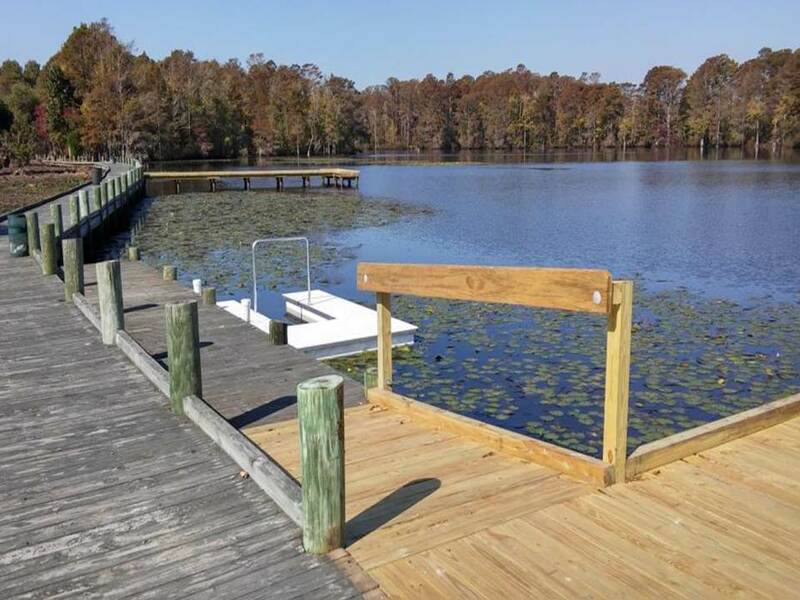 Chowan County and the Edenton/Chowan Recreation Department used two grants from the Public Beach and Coastal Waterfront Access Program to construct a new bulkhead, parking areas with handicap access, a kayak/canoe launch, two fishing piers, and install solar lighting. Decking also was replaced on the entire boardwalk.